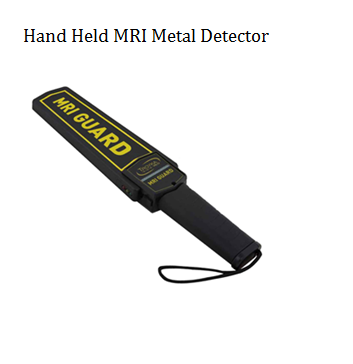 • Detects any ferromagnetic material.• Alerts with vibration, sound and light.• Lightweight, sensitive and easy to use.• No effect on pacemakers and similar implants. Bio – X, Mumbai, is an ISO 9001:2008 certified organization, which was established in year 2010, as manufacturer, distributor and trader of hospital equipments & accessories such as Patient Identification Bands, X - Ray Film Viewers, Coronary Angiography Products, Shoe Cover Dispensers & Blood Collection Tubes. These equipment are hygienically processed from high quality raw materials, which are obtained from well known vendors. Our optimum quality equipment and disposables are widely used in different hospitals, medical centers and nursing homes. We have gain commendable heights among our competitors in short period of time due to sincere efforts of our highly qualified team of professionals. To deliver defect-free products, our complete range undergoes rigorous in-house testing by our quality controllers. Driven by an intense desire to attain maximum clients satisfaction, our logistic team ensures safe and timely delivery of these health care products. Our exporting countries are: Kenya, Singapore, Australia, Africa, US, Italy, turkey and our importing countries are China and product are Blood Collection tubes.